Ms Black was previously manager of the LGBT Centre, although left before it closed earlier this year with debts of more than £300,000. Gay rights groups in Glasgow have spoken out against the controversial decision to hand over the running of the Glasgow LGBT centre to one of its senior councillors. 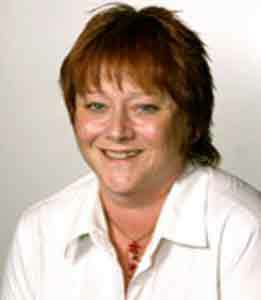 Councillor Ruth Black who heads up ‘Castro’, will be responsible for running the recently bankrupt Glasgow LGBT Centre, a one-stop shop for the city’s lesbian, gay, bisexual and transgender community. Glasgay claims it has been successful for almost 20 years yet the council wants to give the running of the LGBT centre to an organisation not yet established and with no management, governance or staff arrangements, as well as a direct connection with the previous regime. “The Glasgay bid offered a lot more then the Castro bid, they would have made it a much more vibrant place. The centre was closed in April, just two years after moving into new premises in the Merchant City. The £1m refurbishment of the facility included a £300,000 loan from the council, which the Castro bid has said it will pay back. If it goes ahead, the ­proposal will involve the council giving Castro £47,000 to re-open the centre. Glasgay is one of the most well-regarded LGBT arts events in the UK. It was founded in 1993.